NAMA expects to generate a surplus “of the order of €3.5bn” by the time it is wound up in 2020 or 2021. 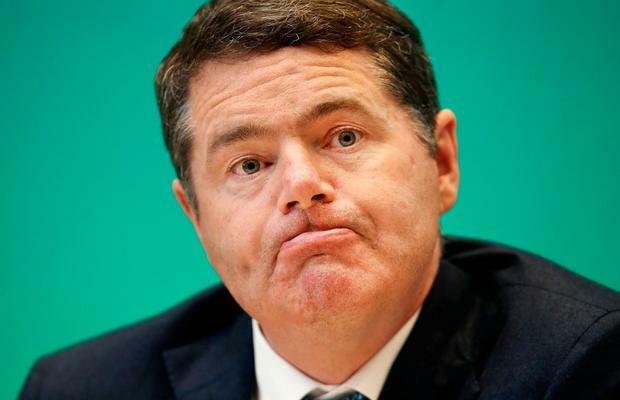 The cash will be used to pay off a share of the national debt, Finance Minister Paschal Donohoe said yesterday. The surplus will be the sum left after the agency repays banks for loans taken over in the wake of the crash. Nama paid €31.8bn for loans with a face value of €74.1bn. The agency’s anticipated recovery of €35.3bn will crystallise the loss at €38.8bn on the original value of the developers’ loans acquired from Anglo Irish Bank, AIB, Bank of Ireland and other major Irish lenders. Yesterday Nama highlighted the progress it had made with asset sales, and the delivery of housing and office space since its 2009 inception. According to its latest end-of-year review, Nama said that, to date, it had generated a total of €44bn in cash. The bulk of that money has been raised from asset and loan sales and, to a lesser extent, from rental income from properties controlled by Nama debtors and receivers. Around €3.3bn of this cash total was generated in 2018, the agency said. While the value of Nama’s overall loan portfolio has now been greatly reduced, the agency noted that its profit for the first half of 2018 had shown a year-on year increase of 44pc, rising to €281m from €195m in the equivalent period in 2017. Nama’s remaining portfolio of assets had a carrying value of €2.3bn at the end of last year, the statement said. Turning to the contentious issue of housing delivery, Nama said it had provided funding for the construction of 9,700 apartments and houses between 2014 and the end of 2018. The agency said an additional 3,000 units were either under construction or have had funding approved for construction. Planning permission has been granted for a further 6,400 units on sites secured to Nama. In the commercial property sector, the agency highlighted the progress being made in the Dublin Docklands Strategic Development Zone (SDZ), an area where Nama originally had an interest in 15 sites. Construction was now almost complete on 1m sq ft of commercial space. It said that work was now under way on a further 1.66m sq ft of office and other commercial space on formerly derelict sites. Nama said that as of the end of 2018 it retains an interest in just over half of the original area in the Dublin Docklands that was under the control of its receivers, while sites with the capacity to deliver 1.5m sq ft of commercial space and 1,577 residential units were either at the sold or ‘sale agreed’ stage including Google’s purchase of the 396,660 sq ft Bolands Quay development.